We offer four categories of crayon wax matrix for different applications including Face crayon matrix, Fabric crayon matrix, Water soluble crayon matrix and Soap crayon matrix. All waxes can be melted and poured into mould, cool down into desired shapes such as crayon shape. Consists of cosmetic ingredients which are completely safe for painting on skin. Stay permanent on most fabrics after ironing. 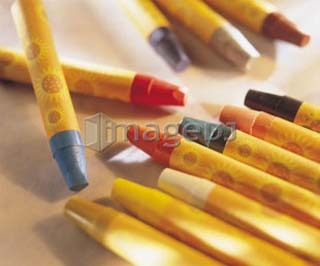 Better than traditional crayon, marking can be easily removed by wet towel on various substance.